what's the output impedance of this amp? BEST ANSWER: 16 to 300 ohms. Staff - it seems that you answered the supported headphone impedance, but what most of us want to know is the actual output impedance of the headphone out on this unit. Will it be below 1ohm so we can use it with more sensitive IEMS and the like? Output impedance of AAA-788 is very low! It's less than 0.05 Ohms at 1 kHz. will this need to install a driver to use the usb input? BEST ANSWER: After scouring the internet for compatible xmos drivers for ASIO DSD playback, I found Thesycon trial drivers that worked, but after 30 min it starts playing a test tone every min. 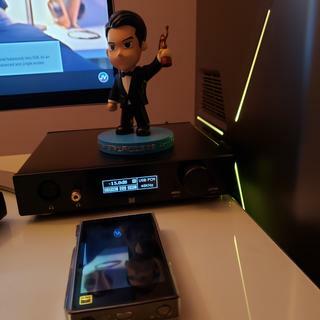 The only way I can stream using ASIO through the DAC is using Asio4All. It fakes a driver so your player can grab it for ASIO output. This is how I get DSD streaming, but it only works for DSD64, but not 128, probably because of bandwidth constraints. So the standard Windows USB driver works for all PCM by DirectSound, but switching output to WASAPI doesn't properly send DSD.. Someone correct me if I'm wrong, but as far as i can tell, WASAPI and ASIO outputs need dedicated Drivers provided by the manufacturer to stream DSD to the DAC. Come on!!! Somebody could tell me if this monoprice thx support NATIVE DSD or convert to PCM? I want to buy this tomorrow but i HAVE to know that before!! Please somebody tell me. I will use this with my macbook and audirvana plus. I have a lot of DSD files and that is the reason because is very important to me know the native dsd support! For Windows: PCM you need no driver. For DSD64 or 128 you need the included driver in the product page. For Android: no driver is required for PCM nor DSD, is great, plug and play. For Macs I do not know. Will this have a full hardware decoder for MQA? BEST ANSWER: It will not. It will, however, have an AKM 4493 DAC. Brand new DAC from AKM. Dang, that's a deal breaker for a lot of us. How is the dirac sensaround? How is it different from not turned on? BEST ANSWER: I think it is pretty subjective, and the effect definitely varies by track. This is why we left it as an option to be on or off. When it is off, you are just getting the pure, unaltered sound you would get if Dirac wasn't inside. Dirac sensaround blew me away by how good it is. It definitely is not a gimmick. It makes headphones transparent, you don’t hear left and right, just the music. Closed headphones sound better than open. My open Elears sounds the best with sensaround. It just makes them sound effortless. The biggest improvement was on my IMR R1’s, it made them sound like speakers. Some songs, its wonderful. Some songs -- its not wonderful. You'll be constantly turning it on and off depending on the music/genre and recording. Is the front panel display VFD or LED? BEST ANSWER: I believe it is an LCD. Does not have th classic 7 segment numerical representation. With that said, the color choice sure makes it look like a vfd. I would assume LCD, not LED but that is a bit harder to tell. The display is definitely not VFD. I ran my optical cable from my Marantz CD to the Monolith Amp but getting no sound. Is there something I need to set on the amplifier from the menu that I have overlooked? BEST ANSWER: Please make sure you are using the optical input on the input select screen. Hold the Enter [input] button for 2 seconds. Then scroll the volume button counter clockwise until to get to Optical input - Then press Enter [input]. Make sure you have your desired output to Headphones or Lineout - to hear sound. You have to press and hold the "Enter/Input" button and then select "Optical" for that input to receive audio. If you have already done that I'm not sure what else it could be. Will there be a Balanced XLR headphone cable for the M1060/c in the near future ? BEST ANSWER: This is not being planned at this time. I’m seeing a balanced cable on Amazon for the 1060C. In fact, there are both XLR and TRRS cables shown. That may do the trick. Yes. You can bypass it. However, when I tried to use it with the SMSL SU8, (which sounded amazing with my Jotunheim) it sounded VERY subpar compared to the internal DAC already in the 788. I don’t know if it was synergy or the chips being that much better but since I’ve tried this, I’ve only used the internal DAC. What DAC would you pair with this? I was going to pair it with my own SMSL SU8 as well! Was planning of pairing the SU8 with the Massdrop 789 but I missed out on the drop AGAIN. So I thought I might as well get this Monoprice instead of waiting forever for the 789. So wouldn't recommend pairing the SU8 with the Monoprice correct? Just use the Monoprice on its own? Hi! I am planning to use my SMSL SU8 as well! Was supposed to pair it with a AAA 789 but I missed out on the drop again and I don't want to wait anymore. So you wouldn't recommend pairing the Monoprice with the SU8 right? Just run off the Monoprice on its own? No but it's really tough to better it's dual AK4473s and DSP. It's 100% digital preamp and only true analog on the output side. does the Dirac Sensaround mode work when using the analog imputs or only works with the digital ones? BEST ANSWER: The Dirac Sensaround will work on both types of inputs. Just a note: DIRAC does not work with DSD input, just PCM. Does this product not have a pre out or line-level out? Would be nice to use the dac for speakers. BEST ANSWER: The control panel permits the amplifier output (variable) to be directed either to i) the XLR4 and 1/4" TRS, or ii) to the RCA outputs on the back. In either case it is variable level controlled by the volume knob, so it can function as a preamp for speakers. Due to customer feedback, this will now have unbalanced RCA analog line outs. How big is this amp? BEST ANSWER: Full dims will be made available when the product is released. 8.7" x 7.8" x 2.0"
is this amp compatible with 220v 50Hz? Do we need a different power supply for EU/220V? Will any 16.5V 1.25A do? The included AC/DC regulated power supply is universal: it accepts 100-240 Vac. does it have different gain levels? BEST ANSWER: Yes, you will be able to set different gain levels. AS far as I know from the manual, there is no way of selecting different gain levels. Please correct me if I'm wrong and point me to the manual where this information is exposed. BEST ANSWER: Final dimensions are not complete, but it will be relatively compact. can you give us an approximate size? Does the volume knob control the analog outputs? ie. Can this function as a preamp for external speakers? BEST ANSWER: Yes, the volume knob also controls the analog outputs. If you need balanced output, see above for information on a modification. Please note, this will void the warranty. Can we pass SACD DSD to this unit? I was under the impression that this can only be passed via HDMI. BEST ANSWER: Yes and no. You cannot hook up a SACD player to the unit since it does not have an HDMI input. However, anymore the DSD files, formerly only found on SACD's, are available as Hi-rez downloads from quite a few sites and some people have even gone to the considerable trouble of ripping their SACD's, so they have the files on a computer. Once you have the DSD files on a computer, you can play them on this unit via the USB type B input, assuming your player software supports the playing of DSD files (JRiver, for example). Also, if this unit supports DSD over DoP, you could probably use the coaxial digital input, but it is not stated if this unit allows that. This usually only works for 2.8 Mhz DSD files, not the 2X or 4X resolution files as coaxial doesn't have the bandwidth for that. 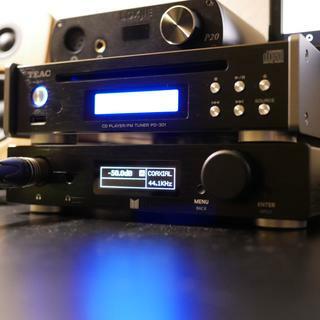 You can hook up any SACD player with analogue outputs to the amp and you will have DSD playback. However, this setup bypasses the DAC in the amp so the listener will be dependent upon the player’s DAC for SACD playback. You are correct. I overlooked the easiest solution and focused on the more difficult question of passing a digital signal to the DAC. Excuse me. 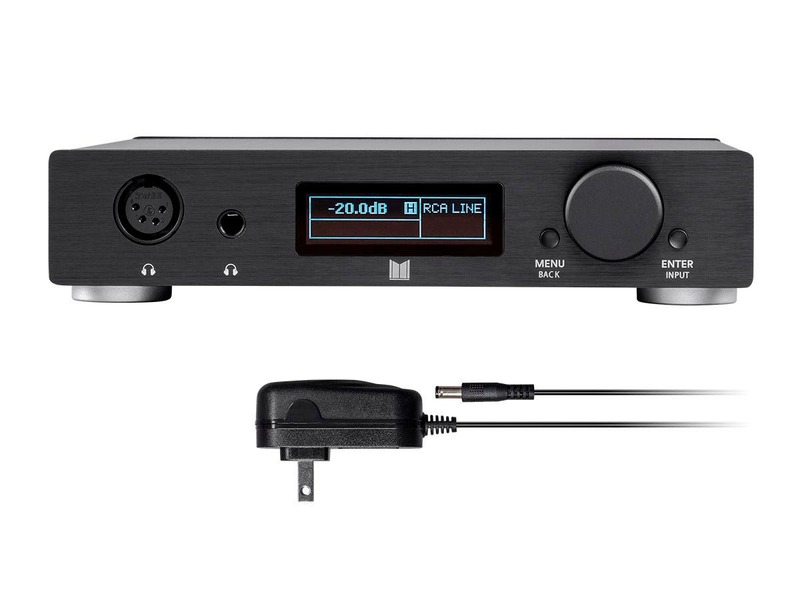 But if i use, for example, audirvana in my macbook (connected by usb to the monoprice), will it recognize the dac like native dsd capable? Or the dsd will be converted to pcm? The picture has the two balanced analog lines labeled as 'analog in', shouldn't that be analog out? BEST ANSWER: The unit has balanced inputs, and unbalanced inputs and outputs. You can use the balanced headphone output on the front as a balanced output. Each XLR-3 pin 1 is already tied to ground so you can leave that alone. This configuration is a bit better than using the XLR-4 balanced output since the cables will now have grounded shields, and the downstream device will now have shared ground with the 789 product. And the headphone outputs and RCA inputs/outputs will continue to work fine. You just lose balanced analog in capability. If one were to do this mod, what would the volume and gain need to be set at to get standard line out voltages from the xlr connectors (2vrms, 4vrms, etc.) with minimal noise? I'm not confident in my soldering skills to do this myself. Is this something I could take somewhere to have done for a fee? What kind of place would take on a job like this? What's the output impedance(not the advertised range of headphone impedance that the amp "supports") of the headphone amp ? You describe the DAC as capable of DSD 11.2MHz, but AMK lists the AK4493EQ as supporting DSD 22.4MHz. Is there a limitation in the way the design has been implemented? BEST ANSWER: Specs listed are currently not final and will be updated. convert to PCM or is native dsd capable? OK, so the 788 isn't a true balanced amplifier... but you're putting two in. AND you're putting in two AKM 4493 DACs. Are you putting two of these in to make it a balanced output? What is the reasoning behind using two of each of these units if the unit won't be balanced? Furthermore, why put a 4-pin XLR connector on the unit if it won't be balanced? You have a lot of clarifying to do Monoprice and I suggest you get someone who actually knows what they're talking about to answer all these questions, because they are not being answered with any clarity. BEST ANSWER: The gentleman that answered is the AAA tech engineer from THX. Obviously, we stand by his answer as we worked extensively with THX in bringing this product to fruition. Thank you so much for clearing that up. It seems there was a lot of confusion before. It will make a lot of people happy to hear it. Incorrect. This Monoprice unit is truly balanced in & out. It contains dual THXAAA-788 stereo amplifier modules configured to create a fully balanced bridged stereo output. It also supports TRS unbalanced output. The XLR-4 is present to permit balanced headphone connection. Incorrect? What information do you have? Do you work for Monoprice? Because the only thing I've seen is a staff response that told someone that it was not a truly balanced output (that response seems to be gone now), which prompted this question. 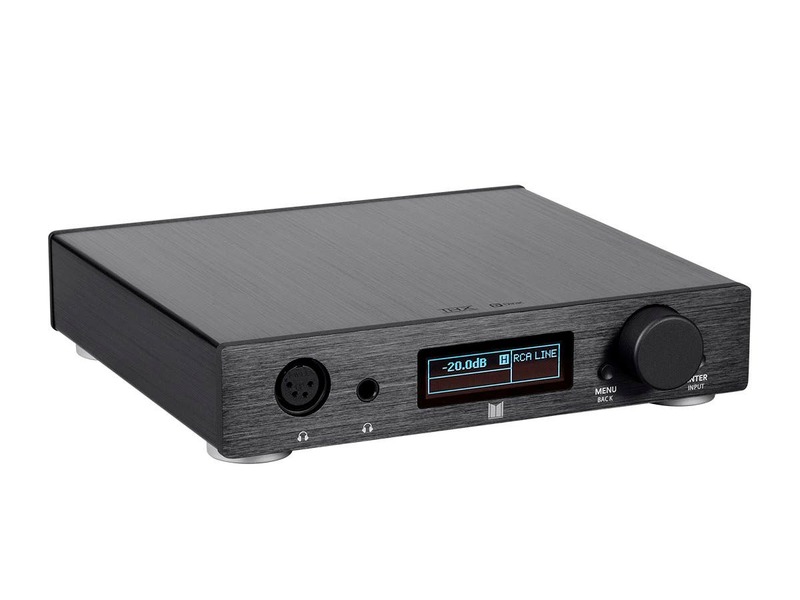 Also, during questioning over at Massdrop for the THX 789, on of the THX team stated that this DAC/AMP would not be truly balanced. The Monoprice desktop XLR-4 output IS truly balanced. There was an early miscommunication about how many 788 amplifiers were going to be included in the design. i.e. having balanced output requires more amplifiers than just single-ended output. what is the output impedance from the single ended input? I need to know if it will be suitable for low impedance iems (16 ohms or less). BEST ANSWER: It's roughly 0.6 ohms. If you look at he bottom of the product page, you can download a whole host of measurements we did at the THX labs. It's 0.06 Ohms at 1 kHz (the most common benchmark frequency). It's 0.50 Ohms at 20 kHz. As Hobie says Monoprice has posted our measured graph of Zout vs freq. Is a WIndows 7 and Windows 8.X driver available? I know it will work on WIn 10, but my HTPC is WIn 7. BEST ANSWER: Yes included in the product support page. Drivers are available in the product page. Does it come with the newest firmware? BEST ANSWER: It will need to be updated once you receive the unit. Where can I find firmware update instruction? 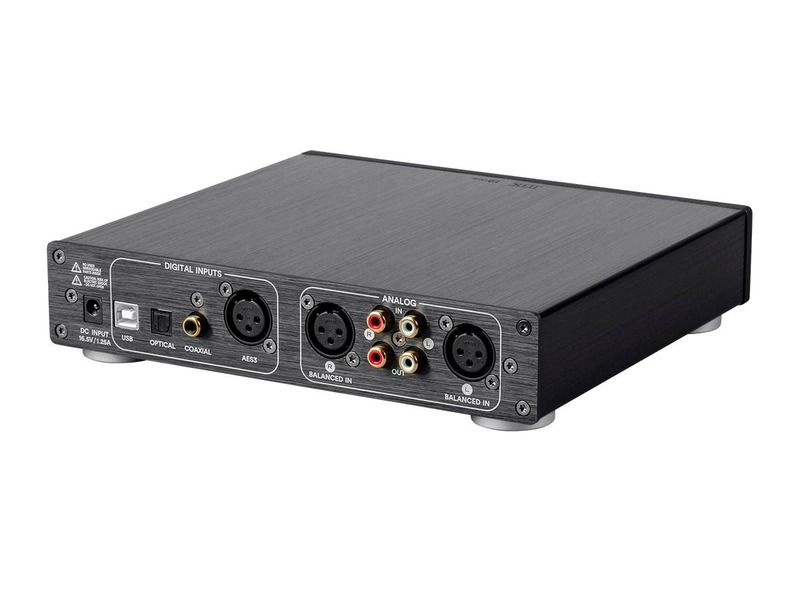 Will this dac amp push through Dolby digital 5.1 from a ps4? I mean, will it push through a simulated Dolby digital 5.1 from a ps4 as the source? BEST ANSWER: This is stereo only. This is a two channel dac/amp. There is no HDMI input. Analog inputs are 1x unbalanced RCA, 1x unbalanced XLR. 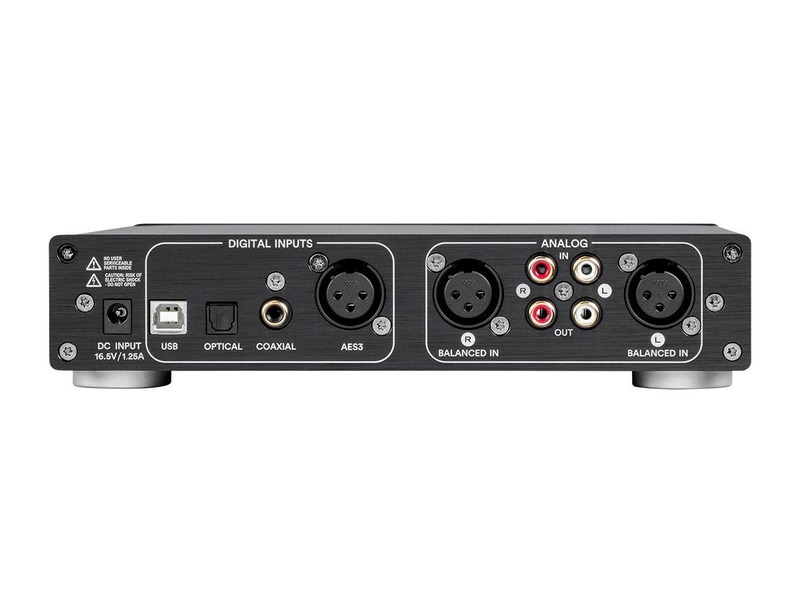 Digital inputs are 1x Optical, 1x Coaxial, 1x AES/EBU, 1x USB. Will we able to change the DAC's digital filter? is the headphone jack 1/8 or 1/4inch? With the balanced and SE jack headphone output, What is the power output into 32, 50, 100, 300 ect ohms? Is that for the balanced output or single ended? BEST ANSWER: No, when listening to headphones you will need to set your system to 2 channel output. Will this come with, or have available, a remote control or IR sensor so that a universal remote control could be used? BEST ANSWER: This headphone amp does not have any IR capability. Does the Dirac Sensaround II apply to all sources (both digital and analog ins) or just the DAC source? BEST ANSWER: Dirac Sensaround II can be utilized on all inputs, both analog and digital. The sound in the youtube video is only on your left ear, if you got a headset on the right way. Dirac sensaround ll mode it will fix the audio from left ear to center in your head. Its like night and day in sound with the Dirac Sensaround ll mode on or off. It fixes all like it should have been. It is almost funny switching the mode on and off. Love the sound quality, the amp is really good and DAC is actually quite reasonable. Listening with good quality headphones or speakers really shows off its quality. It may be a little too analytical for some, but I find it quite neutral and revealing. I picked this up on a 20% sale, essentially getting it for $400 and... what a deal. I've got other dac/amps that can't touch this, the previous setup was a topping d10 dac and o2 amp (essentially the same price! ), the difference was substantial, especially through the balanced output. I will say that I've now become partial to the AKM dacs over the ESS dacs to the point I've changed my home dac to a bi-monaural AKM setup. I'm a Mac user and listen to Tidal and library FLAC files through Audrivana, upconverting to DSD128, through the balanced output into Senn 58X, Beyer 770/880 and Focal Elex has been a heavenly experience. It pushes the 250ohm Beyers without issue but the open backs really shine. With the 150ohm Senns, I live in the -40db range for casual listening, -30db is powerful, -20db is almost painful. Buy this, use this, ignore the "preview" on ASR. I will say that I almost exclusively use the balanced output now so if you're a SE user, this review might not the most accurate for you. I have used the SE with the Beyers and it worked, but I prefer my open backs. The only thing I wish this unit did was MQA decoding, love it or hate it, I like it and want a little future proofing. ATTN MONOPRICE: I'll happily pay for a future firmware with MQA decoding. Pass that license cost along to me... happily. 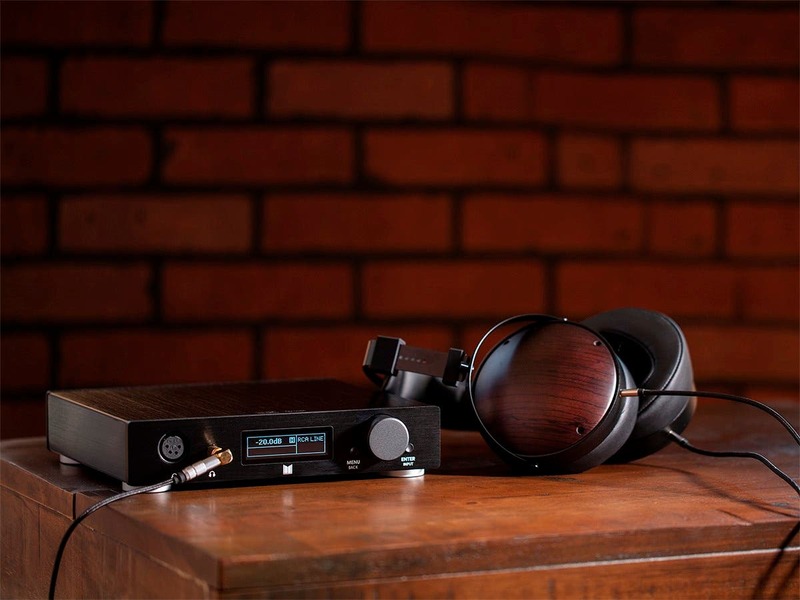 TL;DR: good quality, good build, good sound, good stuff, worth the monies. if you're running lossy stuff, it sounds really good. its clear, defined, neutral, everything you want. The DIRAC dials down the lower register to keep things airy, but changes the sound signature too much and you end up actually missing parts of the music..
if you're running lossless, this thing will change your world. the first time i started running stuff through it, i had to check to make sure i was playing the album i thought i was. it literally peels off a 1/2" sheet of plywood off your music (well, at least compared to the Topping I was using before). And so far all I've plugged into this are my old senny HD558's. and the DIRAC is brilliant and 90% neutral - it almost makes it seem like the cans are floating beside your head. my only gripe is that my plan was to also use this as a pre-amp. unfortunately, you have to go through 6 steps on a 1.5" lcd screen using 2 buttons and a dial to toggle between headphone-out and line-out. I've heard there's a way to wire the rear XLR inputs into full-time outputs, but when something sounds this good, why would you not ship it with this functionality? anyways, that said, i really can't complain. i'm typing this with a set of cans beaming Oneohtrix Point Never and Jon Hopkins into places in my consciousness i didn't know existed until now. if you've been using HQ DACs, then maybe you wouldn't be as excited as me. But if you need an reason to step up your sonic game, this is it. Passes the sounds so good to cry test handily. Great build, but wish for in-line power brick. interface a tad wonky but still easy. Wish it graphically labeled the PEQ Q curve but that the PEQ is there at all is a bonus. Everything is effortless and transparent and just naturally mystical on this. it pushed 600Ohm cans to max loudness at -10dB on the dial that goes to +16. Power aplenty too. Extremely versatile unit. Better fw/ui and it'll best 5/5. It’s a great little stereo signal processor too! I’m loving this little guy. Having used EQ and compression forever, these capabilities are right up my alley, and they work great. Caveat: Without some form of visual guidance, you can screw all of this up quite nicely. But who cares. Tweak away; learn something.Construction, features, functions, and interfaces are just fine as well. You won’t unbox this thing and think it came from Audio Research or any other First Tier manufacturer. It has a bit of a “cottage” feel to it, and I think it’s all the better for it - the R&D went elsewhere. Yay!I’d like to have digital out, of any type. But no. So, I calibrate and use the analog line outs instead, for special purposes.Just pick one up and see if doesn’t hit all the right spots for you - I expect it will. Oh - headphone listening is a splendid experience too!Happy listening! I used the Sonarworks True-Fi pc full licensed program , with selected headphones , running with this monoprice thx 788 , sounds amazing , very good bass and excellent mids , on my Focal Elear headphone, I also recommend the Creative Super xfi amplifier , if you are looking for a awesome portable amplifier , now with purchase comes with a headphone , it is totally a cool amplifier , major surround sound watching movies on Netflix and music is good ,too ! The AMP is stellar. Absolutely no channel imbalance from mute to sound. Also perfectly silent. The DAC is perfectly fine from what I can tell. I own the JDS labs element and Modi 2, and the Monolith sounds just as good. One thing is that if you’re using this as a DAC only option the RCA output is a pre-out. I found that upping the volume on the unit to 0db works best. The digital screen is nice to look at and tastefully done. My endgame dac/amp. i current output to JDS labs el amp. The unit is not affected by cell phone signal, as no interference can be heard at all). Which is a plus. Buy it, buy it twice, true balanced internally and amazing clarity. Good attempt. Could use a couple improvements but great sound quality. The build is great. It has a nice hefty and well put together metal chasis with a great volume knob. The inside board is well laid out and extremely clean. The front has balanced XLR and single ended 1/4 inch headphone jacks. On either side of the volume knob are a menu button and an enter button. These buttons do feel a bit cheap compared to the rest of the unit but are quite usable. The display is a light blue OLED which displays a lot of information at once. On the back, there are XLR-inputs, RCA, Coax, Digital Toslink inputs, and RCA outs. No XLR output unfortunately. I found the menus to be quite cumbersome at first. There's a lot here! First off, the menu and enter buttons are not placed next to each other, so using the menu is a struggle sometimes. But once you get the hang of it, it's not too bad. The first set of menu items is the built-in Equalizer. You have the option of doing a quick Bass/Treble EQ (Shelf-EQ) or a 5 band parametric EQ that lets you customize very finely. You can pick which frequency, the gain level and the Q-factor. It's quite handy if you know what you're doing! The second set of menu items is pretty much useless and a waste of space. It's Dynamic Range Compression. Why would any one want to reduce the dynamics of a song? WHY? The third set is DIRAC, which is a DSP. This new DSP is called Sensasound II by DIRAC, and it works very well for some songs. Basically it manipulates the crossfeed and extends the height and depth of the soundstage while trying to maintain the width, creating a 3D stage in front of the listener. It works very well for songs that do not have heavy bass/beats emphasis. In songs where you want to feel it more than hear the intricacies from your surroundings, you'll lose a lot of richness and fullness to songs. Finally, the last set of menu items is the Settings, which is where you'll find Line Out option. I wished this was active all the time. The Enter button, when held down, will activate the Device input. I have the amp connected to my PC via USB and the TEAC PD-301 CD Player using Coax and I constantly use this function to switch devices. I have to say, the THX amp is extremely clean. EXTREMELY clean sounding. Yea. It is as advertised. It sounds transparent, whatever that means. I never feel like anything is overly emphasized and music sounds ultra smooth throughout and is well extended. It will sound a little leaner than other amps, and thats quite evident on those heavier songs, but the detail that is put out on this amp is excellent. Overall, I'm very happy with this purchase. I do want to make users aware that there were some bad shipments sent out to some users that had a BETA version of the firmware. Luckily, I had v1.01 on my unit and did not have the same issues as what Amir of Audio Science Review experienced. Hopefully, he will be able to get a production unit to test in the future. Until then, I am happy to report my findings. Great sound. A little clunky UI (at first), and could use a remote. But otherwise, the music speaks for itself.